Electrolux Philippines is expanding its offerings through the introduction of its small domestic appliance line. Launched through a fun trivia event, Electrolux revealed the exciting features of its new products, which include vacuum cleaners, irons, rice cookers, a coffee maker and toaster. The Electrolux philosophy “Thinking of You” promises Filipinos thoughtfully designed appliances, geared towards answering their unique wants and needs in new and exciting ways. This event was held at 121 Grill Restaurant in Makati City on May 25, 2010. 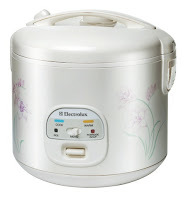 Winners to the trivia contest got to bring home an Electrolux product. It's sad that our team didn't win in the contest. 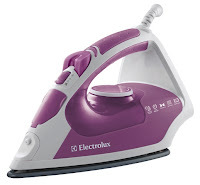 The Electrolux Confidence Steam Irons is a prime example. Extensive consumer work by Electrolux revealed that safety is the number one concern for irons among Asian consumers. That is why the Electrolux Confidence Steam Irons includes numerous features which make them one of the safest irons out in the market. 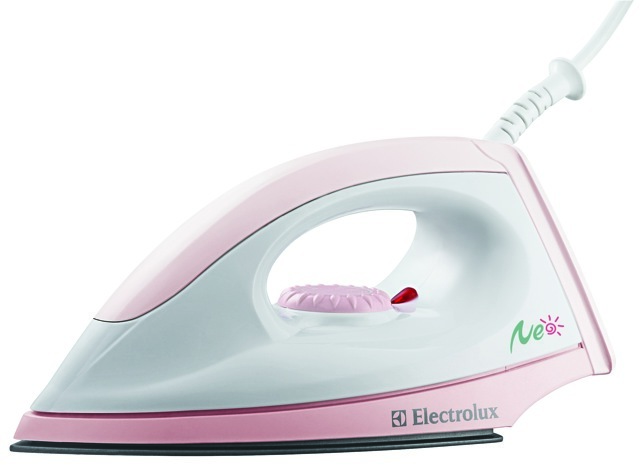 It has a 3 way auto shut-off function, a 360º cable that provides flexibility and durability, preventing the steam-iron from falling over while in use and the Electrolux patented safety stand – a rubber napped heel surface that prevents it from slipping when on an upright position. For ease in ironing, Electrolux also introduced its NEO series dry iron. It includes a variable temperature setting to deal with different kinds of fabric, 1000 watt power for quick heat up and a stainless steel or non-stick soleplate for easy glide. 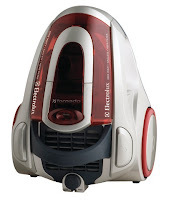 Its lightweight material and 180 degrees swivel cord give it good reach and maneuverability for comfortable ironing. Meanwhile, the Neo Collection breakfast set answers the busy urbanite’s need to have a good breakfast to start their day. 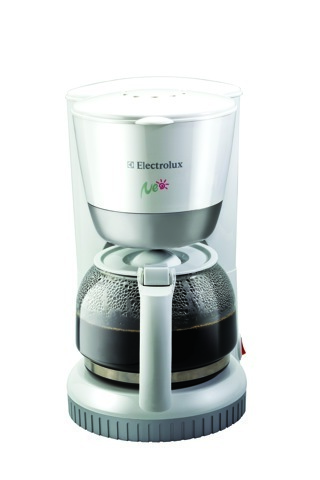 It includes a coffee maker that can hold as much as 10 cups of coffee, with a non-stick warming plate and a keep warm function so consumers can get great-tasting piping hot coffee anytime. It is also easy to use and clean as it comes with a permanent filter and an anti-drip system, making it a perfect fit for those with a fact-paced lifestyle. 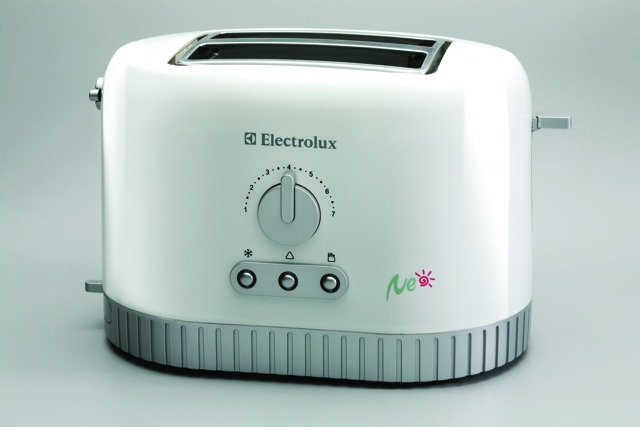 The Electrolux ETS 2000 Pop-up toaster has a 7 setting electric browning control so consumers can bread toasted the way they want it, plus self centering bread guides for even toasting. The Electrolux ERC2181 rice cooker can do more than just prepare rice – it has 4 functions, cook, warm, steam and porridge. Meanwhile the ERC2180 model has a 1.8 liter capacity with two functions – cook rice and keep warm up to 72 hours. Both models have an inner pot with a non-stick coating, and also come with a steam rack and ladle. 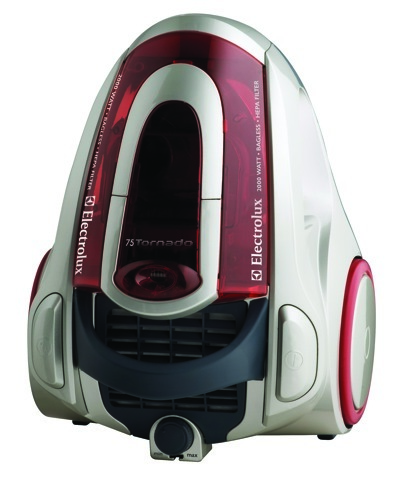 When it comes to cleaning, Electrolux has designed two vacuum cleaners to suit the particular needs of our consumer. Those looking for superb dirt pick-up can check out the Z4009 75 Tornado. Truly a tornado in cleaning, it uses cyclonic technology, where suction is provided by the internal spinning of an air-stream created by the wide drum and sealed container. This not only results in a powerful performance but it also prevents dust from clogging the filter so that the 75 Tornado not only makes cleaning easy but also easy to clean. 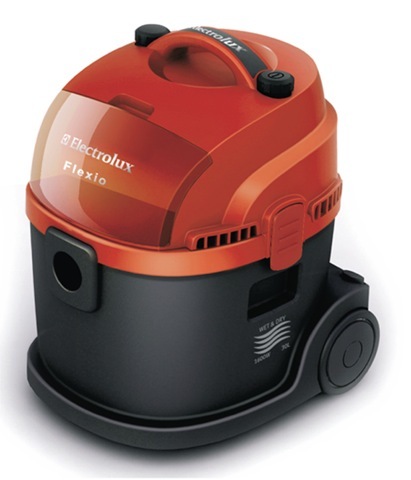 While those looking for all-in-one cleaning can choose the Flexio II, the new wet and dry vacuum cleaner from Electrolux. Its enhanced features include a higher input power with a stronger suction for excellent pick-up of all kinds of dirt, plus a tank that has a 30 liter capacity to clean up liquids. 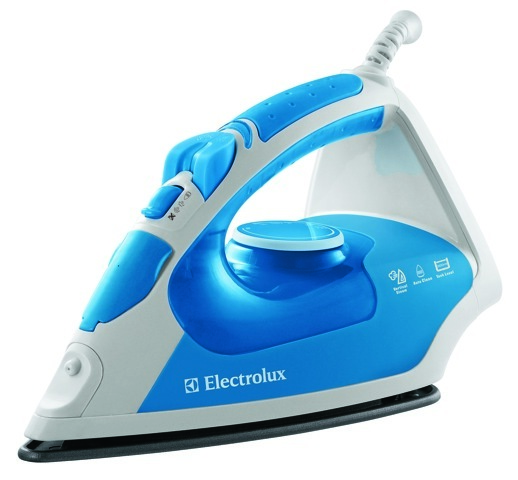 A global leader in home appliances and appliances for professional use, Electrolux re-entered the Philippine market in 2002. 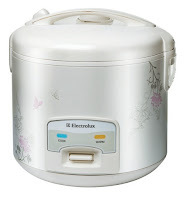 Electrolux products include refrigerators, dishwashers, washing machines, vacuum cleaners and cookers sold under the esteemed brands Electrolux, White-Westinghouse/Electrolux and Frigidaire.